Satin Dolls gentleman's club in Lodi, New Jersey. The owners of a gentleman's club made famous by the hit HBO series "The Sopranos" have been ordered to cease live entertainment at two venues as they stand accused of multiple violations, the New Jersey Attorney General's office announced on Thursday. Satin Dolls, the Lodi-based club that served as Bada Bing on "The Sopranos," must close its doors and either sell or transfer its liquor license by Jan. 3 due to alleged noncompliance with a previous consent order, state prosecutors said. The same applies to A.J. 's Gentleman's Club in Secaucus. (Note: Video contains explicit language and violence). 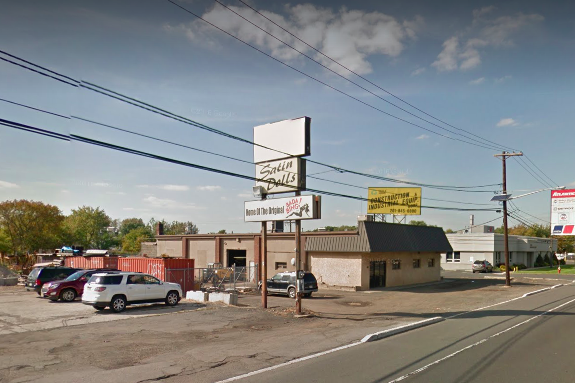 Both businesses, owned by the family of Anthony Cardinalle, allegedly continued to operate under the ownership of various family members despite restrictions put in place by the Division of Alcohol and Beverage Control. Anthony Cardinalle was criminally disqualified from maintaining involvement in the clubs' operations as a result of ongoing violations stemming back to the 1990s. Cardinalle pleaded guilty in 1995 to federal income tax evasion for not reporting cash payments from “gentleman’s clubs” in which he held undisclosed interests. A 2011 consent order required that Luceen Cardinalle, Anthony's wife, turn over the licenses for both clubs to daughter Loren Cardinalle. Investigators determined that Anthony Cardinalle, who was indicted in 2013 for alleged participation in a waste disposal conspiracy by the Genovese family, was still an integral part of the clubs' operations. Loren Cardinalle had been required by the consent order to transfer both licenses to a bona fide third party by the end of 2015. She was granted a series of extensions, the last of which had been set for September 2017, until investigators began preparing charges of criminal solicitation for prostitution and lewd activity at the clubs. Those charges remain pending.